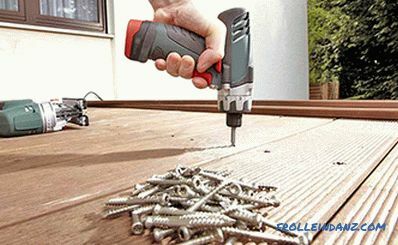 The key to quality construction and repair work is the right choice of tools. 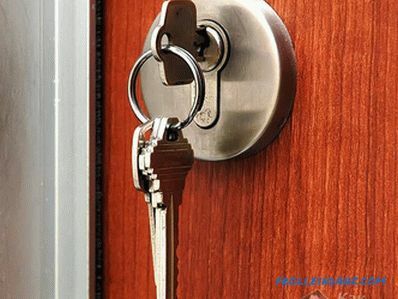 From this article you will learn how to choose a spatula for painting and facade work, for grouting, gluing wallpaper and other purposes. A quality spatula will save you time to do the work. To approach the issue of choice correctly, in this article we consider the types of spatulas and their purpose. The thickness and elasticity of the blade is the main difference between the painting and facade spatulas. 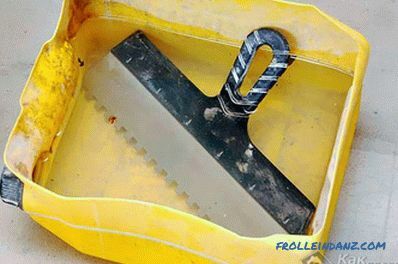 With the help of these tools, specialists carry out the filling of walls and ceilings, as well as apply plaster mixtures. Facade spatulas are used to conduct outdoor work on the application of plaster mixes on the walls of facades. Severe operating conditions and large areas will withstand only spatulas specifically designed for this purpose. 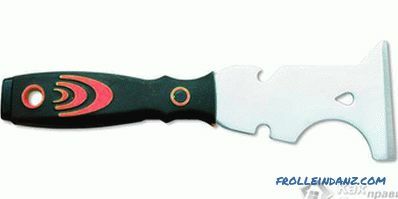 High-quality spatulas are made of high-strength carbon steel. She practically does not bend. The handle is rubberized and securely fastened to the steel web. 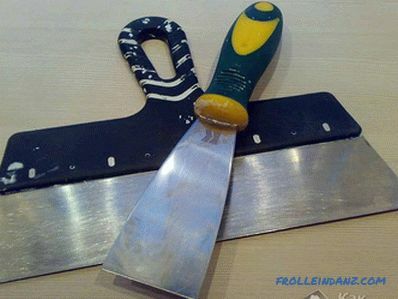 This type of tool is used not only for plastering the walls outside. Many putters choose for themselves the same spatula, which is due to their reliability and durability. Paint spatulas are used to putty walls and ceilings inside the house. The work surface is thinner and more flexible. When pressed, it is slightly springy. However, this spatula is short-lived. 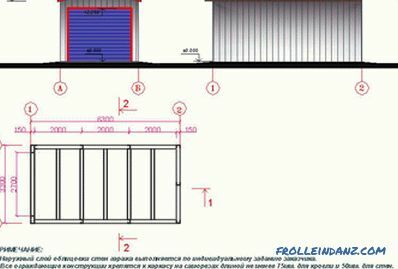 In the process of intensive use, the working surface bends, which makes it unsuitable for use. 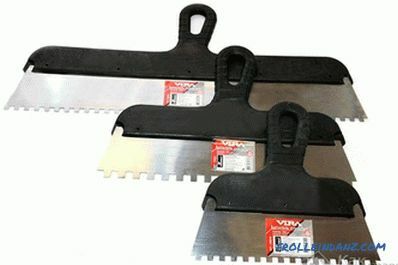 If there is a large amount of work to be done, then use the main trowel with a blade width of 400-600 mm, the width of the auxiliary one may be 60-150 mm. 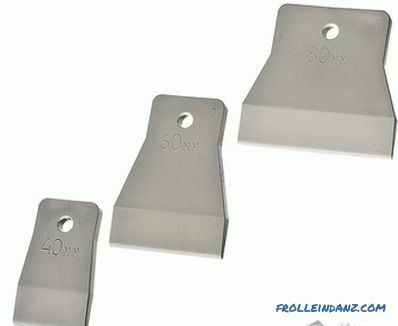 If you need a reliable trowel, then choose a facade option. It costs more, but it lasts longer. To evenly apply the adhesive mixture, A notched trowel was designed. It is used to eliminate the overrun of adhesive mixtures. The presence of teeth allows you to evenly apply glue. If the walls are to be covered with plasterboard or granite, use a spatula with large teeth. For putting glue on ordinary tiles, use a spatula with smaller teeth. The fine-toothed spatula is used to apply glue to the carpet and linoleum. The teeth have a width equal to the height. 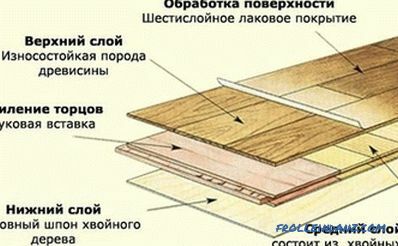 The thickness of the glue solution applied to the surface depends on these parameters. 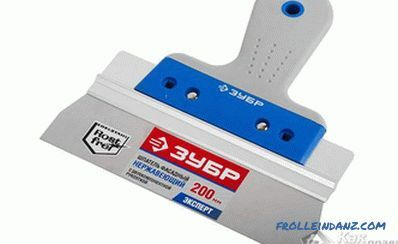 The market offers consumers various options for such spatulas: for laying tiles and not only. The optimum thickness of the adhesive should be 6 mm. In this case, the adhesive will withstand the load, and the tile will not disappear later. The height of the tooth should be at least 6 mm. As for the width of the spatula, it must fit the size of the tile. If you are to lay tiles on curved walls where the alignment is provided by the glue layer, then buy spatulas with different tooth heights, including 10 or 12 mm. This will allow you to effortlessly change the thickness of the adhesive in 2 times. 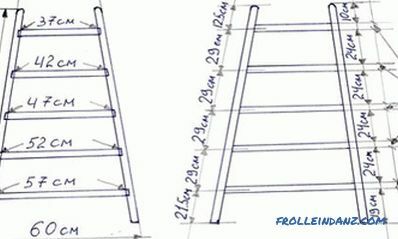 To align external and internal corners, use corner trowel. It is used not so often, because perforated corners are most often installed on the outer corners. On the other hand, in order for you to work with internal corners with this spatula, they must be even, with an angle of 90 °. Choosing an angular spatula, check the perpendicularity of the base. The rubber spatula is used for covering dents and scratches on the laminate and for grouting ceramic tiles . 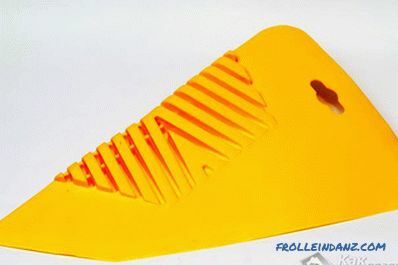 It is made of solid rubber, can have different shapes depending on the destination. 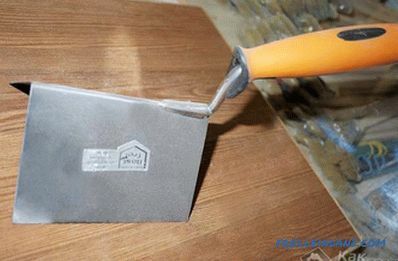 Such a tool does not damage the glossy surface of the tile and laminate, and also bends better than its metal counterpart. Instead of a handle, it has a thickening, for which it is necessary to keep the tool in the process. The soft spatula is made of siliconized rubber. Before you buy a rubber spatula, check it for flexibility. The spatula should be cut at an angle, with the working side on the chamfer side. The main purpose of the plastic spatula is to smooth wallpaper on the surface to be glued on. This tool speeds up the workflow at times. Such a spatula should have an ideal work surface. Otherwise the burrs will damage the wallpaper. The plastic must be free of punctures, burrs and cracks. Comfortable handle. This indicator should be checked on site. For Paint scraper was developed to remove paint and old wallpaper from the walls. Such a tool is made of thick metal. Special scraper copes with its tasks. This tool consists of a sharp blade, a roller cleaning tool, and a nail puller. Such a universal device will allow you to save time and effort. When buying, pay attention to the fact that the blade was sharp, the handle is well enough fixed. The scraper blade should not be curved. Despite the purpose of the spatula, it will serve you longer if you properly care for him. It is important to wash it after each working day. Use the device only for its intended purpose. Thrift is the key to the durability of any tool. Without a spatula it is impossible to carry out a quality repair in the house. Choose a spatula that is appropriately sized. Be careful when choosing, and then you will be able to make repairs quickly and efficiently. If you have any questions, ask them to our specialists. Write comments!